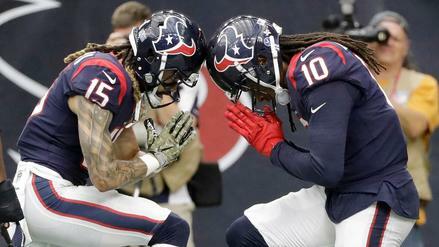 For but a few fleeting games, Deshaun Watson, fantasy football's very own Icarus, flew higher than anyone imagined and raised DeAndre Hopkins and the Houston Texans' offense to unseen heights. It all culminated in a legendary Week 8 performance against the Seattle Seahawks. Then, like the fabled hero, Watson came crashing back to Earth after suffering a knee injury in practice. And naturally, his absence affected Hopkins, as the Texans rolled out a combination of Tom Savage and T.J. Yates behind center. Just like that, the wideout was subject to poor quarterback play once again. For years, Brock Osweiler, Ryan Mallett, and Brandon Weeden pulled Hopkins to the depth of despair, yet he still delivered most weeks for fantasy owners. Since being drafted in the first round of the 2013 NFL Draft, Hopkins is third overall in targets (735) behind only Antonio Brown and Demaryius Thomas. The target volume is always there, but combined with the efficiency of what should be a healthy Watson, Hopkins is primed to set the fantasy landscape on fire in 2018. Hopkins has become a fantasy football favorite over the past few seasons. After taking over for Andre Johnson as the team's go-to guy in 2014, he has climbed in targets each season. The only decrease came in 2016, when he was catching passes from Osweiler and Savage. The result came in a career-low 51.7% catch rate -- his only mark below 55.2% to date. Thanks to Watson, Hopkins rebound in 2017, but is it too good to be true? Hopkins scored a lot more than touchdowns than he should have in 2017. During Episode 131 of The Late Round podcast, JJ Zachariason pointed out that receiving yardage is an easy way to spot regression with receiving touchdowns. In 2017, when looking at the relationship between receiving yards and touchdown data, players with Hopkins' receiving yardage, on average, scored 8.3 touchdowns. Hopkins posted 13 scores in 2017, which was a huge difference from what was expected based on historical trends trends. In the same episode, JJ pointed out that we should expect a similar regression in touchdown rate from Watson. On his 204 pass attempts, Watson completed 126 of them for 19 passing touchdowns. Since 1990, his 9.3% touchdown rate trails only Peyton Manning's 2004 season, and it even exceeds that of Peyton Manning's record-setting 55-touchdown season in 2013 and Tom Brady's 50-touchdown season in 2007. In the same vein, Brandon Gdula dropped a great piece on wide receivers we should expect to score fewer touchdowns in 2018. Brandon pointed out that Hopkins is likely to regress as he utilized numberFire's Net Expected Points metric to conclude that we should see a decline in touchdowns from him this season. 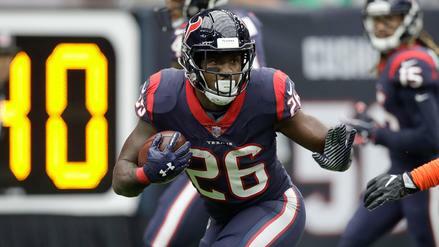 A healthy and improved Texans defense might also limit the number of times Watson is putting the ball in the air in 2018. A healthy J.J. Watt and Whitney Mercilus, with additions like Tyrann Mathieu and Aaron Colvin, should limit offensive shootouts like the ones the team found itself in frequently to start 2017 (See: Week 8 vs. Seahawks). After seeing what has and could go wrong, let's take a look at the ceiling for Hopkins. Utilizing Josh Hermsmeyer's site, AirYards.com, we can look at Air Yards and other metrics that show us what role a player fits in an offense. The number of targets a wide receiver sees, combined with Air Yards, the total number of yards thrown toward a receiver on a play in which he is targeted, help fantasy owners to get a better grasp of a player's role within the offense. And the same goes for average depth of target, or aDOT. Looking at this data and comparing it to other wide receivers, Hopkins has been one of the elite options at his position. Ever since taking over as the main pass-catching option in Houston, he has been up there among the league leaders in Air Yards and Targets. The 2016 season saddled by Osweiler and company is the one big negative over the last three to four seasons. These also aren't dink-and dunk-targets, as his aDOT is routinely near the top of the league in wide receivers seeing a majority of their offense's targets. In fact, his 12.9 aDOT in 2017 ranked 11th among receivers with 100 targets. So, in Hopkins, we have an offense built around his strengths as a wide receiver that looks to routinely feature him as their main pass-catching option. Many sites are predicting big improvements for the Texans in 2018. While we project them for 8.5 wins, ESPN has them going 11-5 and leading the AFC South while Vegas has them at +180 to win their division. This will likely lead to less volume for the Texans' pass game as the team enjoys more positive game scripts in 2018. That shouldn't scare you off Hopkins, though. 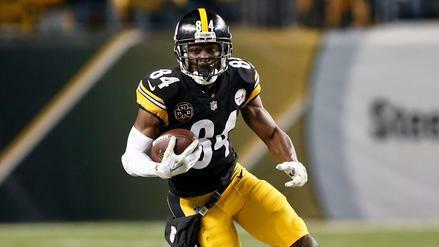 He is still a highly coveted fantasy asset, and here at numberFire we have him as one of the top producers in our projections. The volume should still be there one way or another. What's interesting is that even after Watson went down to injury, Hopkins was able to maintain elite numbers in 2017. Via Pro Football Reference, here are his -- and his quarterback's -- numbers when targeted. 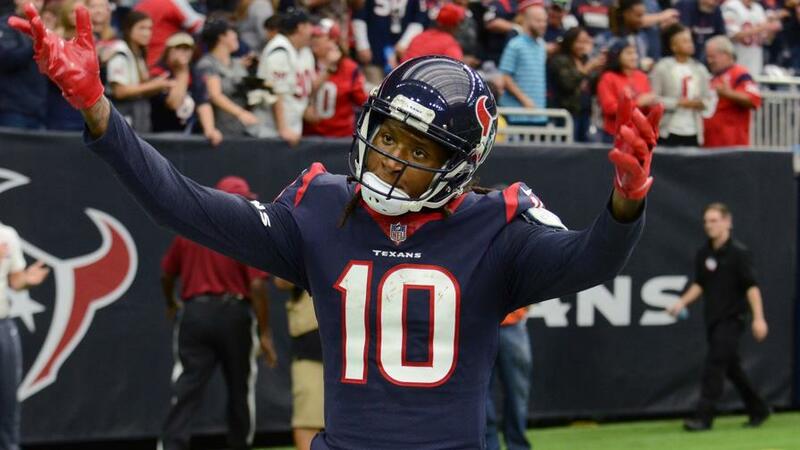 Hopkins has become a transcendent talent who can produce no matter who the quarterback is under center in Houston. He still posted strong yardage numbers with Savage and Yates throwing the ball. While statistical numbers point to a slight decline in touchdowns for Hopkins in 2018, he should still be one of the league leaders at the position. Per Fantasy Football Calculator's average draft position (ADP) data, Hopkins will cost you a first-round pick no matter what the format is -- and that's right where he belongs. As we saw in 2018, Hopkins' ceiling is double-digit touchdowns, and with a healthy Watson for the entire season, there's no reason he shouldn't be able to top his receiving yardage mark, especially if he plays all 16 games (he played 15 a year ago). Hopkins has one of the highest ceilings in fantasy football. Owners shouldn't expect that 2017 touchdown production, but our projections see something around 90 receptions 1,300 receiving yards and 9 touchdowns. That trails only two other receivers -- Antonio Brown and Julio Jones -- and it is not far off the mark of Jones. With Brown the clearcut number-one, Hopkins finishing as the second-best receiver in fantasy is not out of the question.